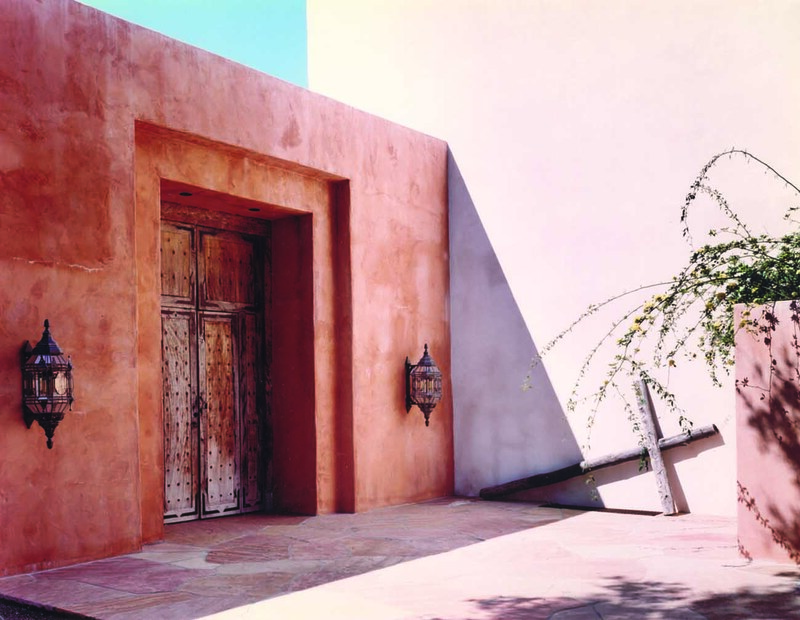 With architecture that speaks to the mastery of space and light of renowned Mexican architect Luis Barragan, this 10,000 square-foot Spanish Colonial residence mandated furnishings and artwork equal to its commanding surroundings. 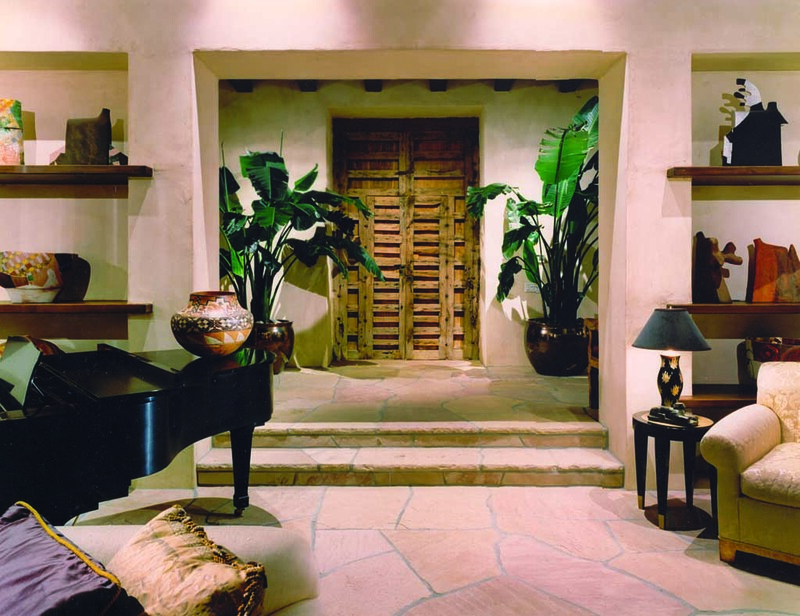 In response, old Spanish Colonial doors were introduced that open to reveal plaster walls rubbed with beeswax. 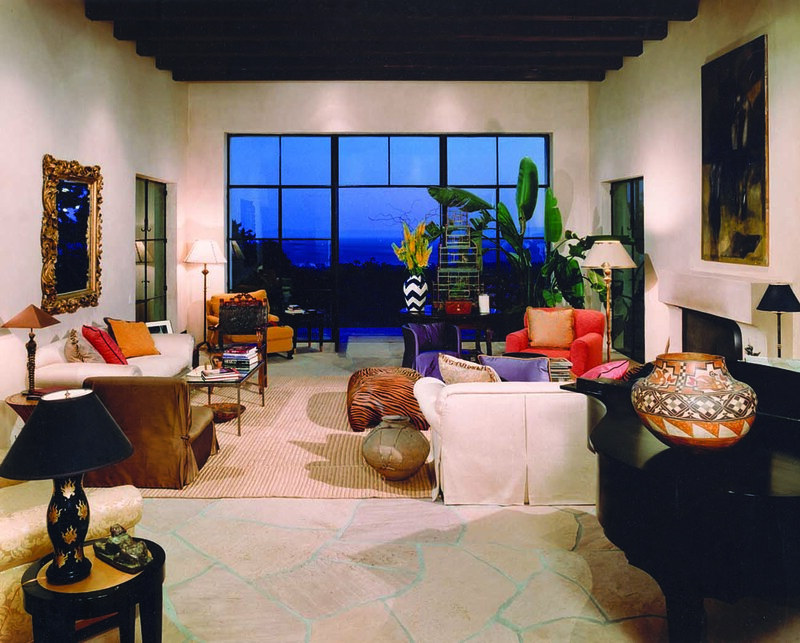 Furnishings by John Saladino and Diego Giacometti, and an art collection that includes Diego Rivera and Frida Kahlo make this interior especially artful. 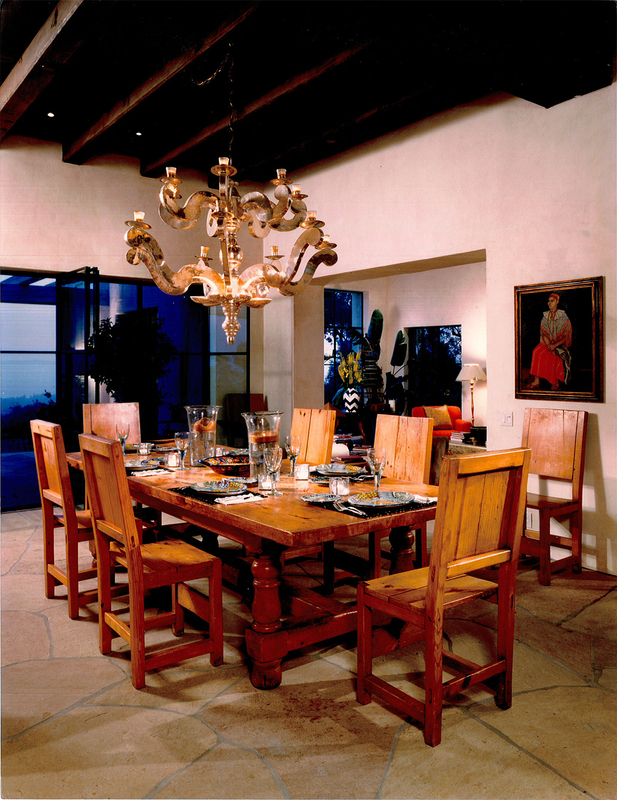 Select 16th and 17th century pieces like the rough-hewn Mexican table and chairs and silver chandelier in the dining room, and entry sconces fashioned from old Spanish light pendants, are the perfect counterpoints to the architecture.